Fiber-Reinforced Plastic (FRP) provides excellent corrosion resistance and weight saving when compared to carbon steel. 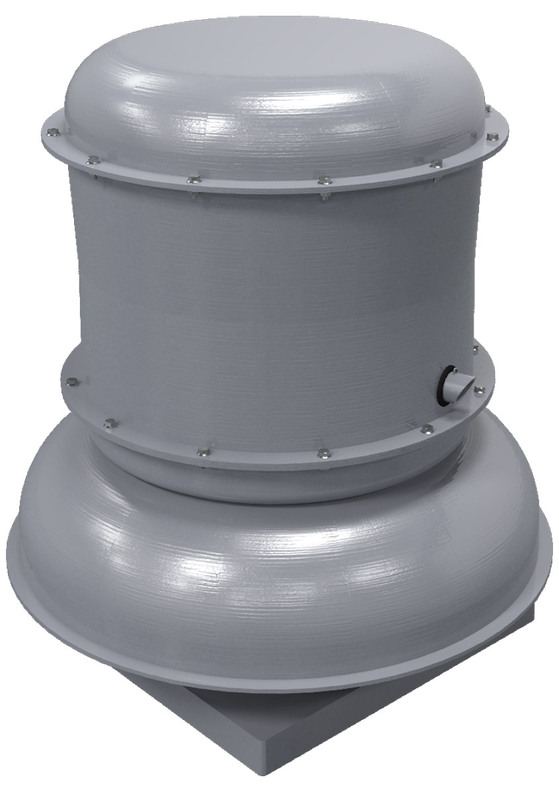 Fiberglass fans can weigh 15 to 40% less than traditional steel Class II utility vent sets. Cook fiberglass products are constructed of corrosion resistant fiberglass resin, which is formulated to achieve a Class I flame spread of 25 or less. All resin is protected with a chemical, flame and ultraviolet top coating. A neoprene seal protects the shaft. Motors and drives are enclosed in a compartment, protected from corrosion and weather. This FRP was successfully tested with more than 90 corrosive materials, in environments 150 to 210⁰F. See page 4 for a full list of corrosion and temperature ratings. This first of its kind, centrifugal airfoil backward inclined wheel, is molded and formed as one solid piece. It has more than 140 precisely cut, glass mats that are woven into a single mold. Added to this process is a precision machined aluminum hub. Vinylester resin is then injected in the mold encapsulating the hub. This mold is precisely designed to produce a wheel that does not require any hand layup work. Available in clockwise or counter-clockwise rotations. Choose a standard width or a high pressure (HP) 66% width wheel to meet specific needs. Wheels are balanced in accordance with AMCA Standard 204-05, Balance Quality and Vibration Levels for Fans. The FCE upbast & FCRU downbast are curb mounted exhaust fans. 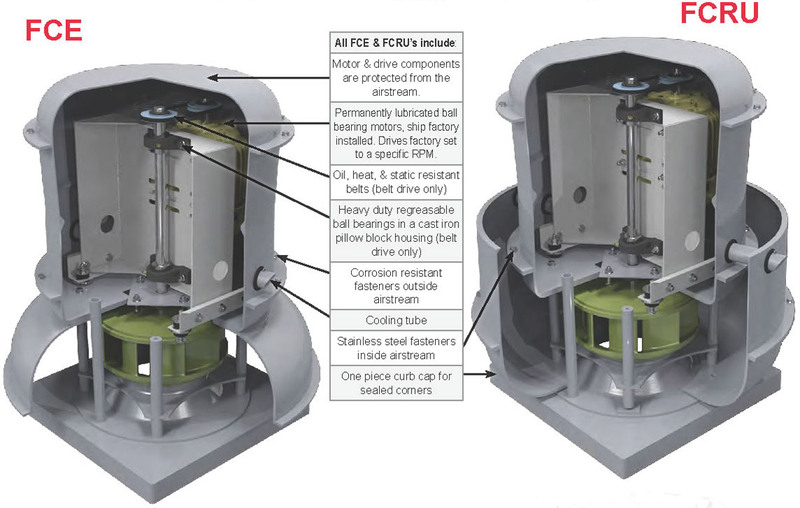 FCP is a centrifugal utility vent set for higher pressure applications. Description: Fan shall be a fiber-reinforced polyester resin, roof mounted, direct driven, downblast centrifugal exhaust ventilator. Certifications: Fan shall be manufactured at an ISO 9001 certified facility. Construction: The fan shall be of bolted construction with stainless steel fasteners. Fasteners in the airstream shall be encapsulated in resin to further protect against corrosion. Structural parts shall be made of either fiber reinforced polyester resin or epoxy coated steel. All fiberglass resin to be formulated to achieve a Class I flame spread below 25. All resin surfaces shall have additional chemical, flame and ultraviolet protective top coating. The fan base shall have solid curb cap corners for maximum leak protection. Motor, bearing and drives shall be mounted on a heavy duty epoxy coated steel power assembly, and enclosed in a ventilated motor compartment for protection against corrosive airstream. An integral conduit chase shall be provided through the curb cap and into the motor compartment to facilitate wiring connections. A neoprene shaft seal shall be provided. Nameplate shall indicate design CFM, static pressure, and maximum fan RPM. Unit shall be shipped in ISTA certified transit tested packaging. Wheel: Wheel shall be centrifugal airfoil backward inclined, constructed of fiber-reinforced vinylester resin, molded and formed in one solid piece. Wheels constructed of separately molded shroud, floats and backplate and then assembled are considered unacceptable. Wheel shall include a precision machined aluminum hub encapsulated in resin. Wheel inlet shall overlap an aerodynamic inlet cone to provide maximum performance and efficiency. Wheel shall be balanced in accordance with AMCA Standard 204-05, Balance Quality and Vibration Levels for Fans. Motor: Motor shall be Totally Enclosed NEMA design B with class B insulation rated for continuous duty and furnished at the specified voltage, phase and enclosure. Product: Fan shall be model FCE-D as manufactured by LOREN COOK COMPANY of Springfield, Missouri. Description: Fan shall be a fiber-reinforced polyester resin, roof mounted, belt driven, downblast centrifugal exhaust ventilator. 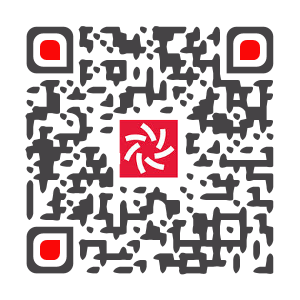 Bearings: Bearings shall be designed and individually tested specifically for use in air handling applications. Construction shall be heavy duty regreasable ball type in a cast iron pillow block housing selected for a minimum L50 life in excess of 250,000 hours at maximum cataloged operating speed. Belts & Drives:	Belts shall be oil and heat resistant, static conducting. Drives shall be precision machined cast iron type, keyed and securely attached to the wheel and motor shafts. Drives shall be sized for 150 percent of the installed motor horsepower. The variable pitch motor drive must be factory set to the specified fan RPM. Product: Fan shall be model FCE-B as manufactured by LOREN COOK COMPANY of Springfield, Missouri. Description: Fan shall be a fiber-reinforced polyester resin, roof mounted, direct driven, upblast centrifugal exhaust ventilator. Wheel:	Wheel shall be centrifugal airfoil backward inclined, constructed of fiber-reinforced vinylester resin, molded and formed in one solid piece. Wheels constructed of separately molded shroud, floats and backplate and then assembled are considered unacceptable. Wheel shall include a precision machined aluminum hub encapsulated in resin. Wheel inlet shall overlap an aerodynamic inlet cone to provide maximum performance and efficiency. Wheel shall be balanced in accordance with AMCA Standard 204-05, Balance Quality and Vibration Levels for Fans. Description: Fan shall be a fiber-reinforced polyester resin, roof mounted, belt driven, upblast centrifugal exhaust ventilator. 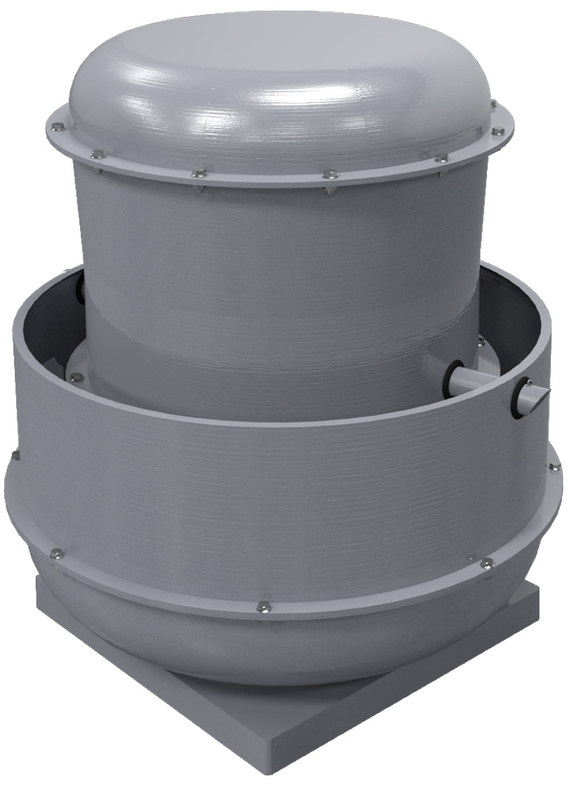 Product: Fan shall be model FCRU-B as manufactured by LOREN COOK COMPANY of Springfield, Missouri. LOREN COOK COMPANY certifies that the FCP shown herein is licensed to bear the AMCA Seal. The ratings shown are based on tests and procedures performed in accordance with AMCA Publication 211 and AMCA Publication 311 and comply with the requirements of the AMCA Certified Ratings Program. Description: Fan shall be a fiber-reinforced polyester resin, single width, single inlet, backward inclined airfoil, arrangement 10, belt driven Class II centrifugal blower. Certifications: Fan shall be manufactured at an ISO 9001 certified facility. Fan shall bear the AMCA certified ratings seal for sound and air performance. Construction: The fan shall be of bolted construction with stainless steel fasteners. Fasteners in the airstream shall be encapsulated in resin to further protect against corrosion. Structural parts shall be made of either fiber reinforced polyester resin or epoxy coated steel. All fiberglass resin to be formulated to achieve a Class I flame spread below 25. All resin surfaces shall have additional chemical, flame and ultraviolet protective top coating. A neoprene shaft seal shall be provided. 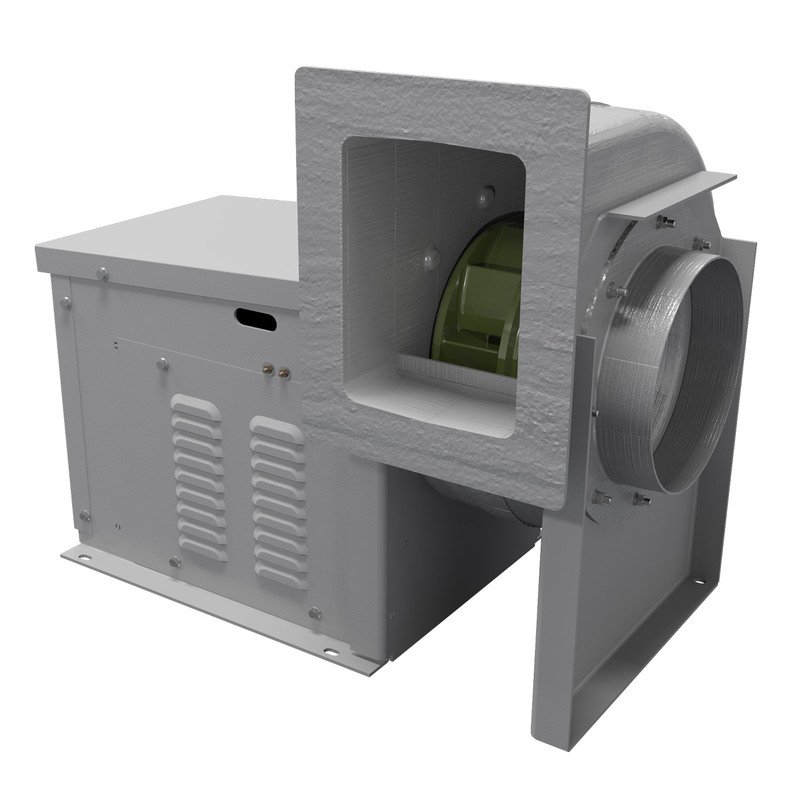 The fan housing shall be field rotatable to any one of eight discharge positions and shall have an outlet discharge flange for duct connection. Unit shall have the motor and drives enclosed in an OSHA motor compartment. Nameplate shall indicate design CFM, static pressure, and maximum fan RPM. Unit shall be shipped in ISTA certified transit tested packaging. Wheel: Wheel shall be centrifugal airfoil backward inclined, constructed of fiber-reinforced vinylester resin, molded and formed in one solid piece of the specified rotation. Wheels constructed of separately molded shroud, floats and backplate and then assembled are considered unacceptable. Wheel shall include a precision machined aluminum hub encapsulated in resin. Wheel inlet shall overlap an aerodynamic inlet cone to provide maximum performance and efficiency. Wheel shall be balanced in accordance with AMCA Standard 204-05, Balance Quality and Vibration Levels for Fans. Motor: Motor shall be NEMA design B with class B insulation rated for continuous duty and furnished at the specified voltage, phase and enclosure. Bearings: Construction shall be heavy duty regreasable ball or roller type in a cast iron pillow block housing selected for a minimum L50 life in excess of 250,000 hours at maximum cataloged operating speed. Blower Shaft: Blower shaft shall be AISI C-1045 hot rolled and accurately turned, ground and polished with an FRP sleeve in the airstream for protection. Shafting shall be sized for a critical speed of at least 125% of maximum RPM. 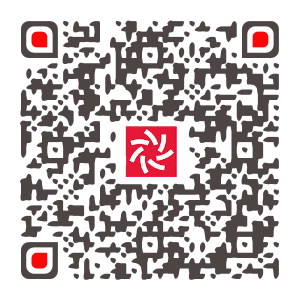 Product: Fan shall be model FCP as manufactured by LOREN COOK COMPANY of Springfield, Missouri.